Institute of Banking Personnel Selection (IBPS) has issued an employment notification to conduct online examination for the next Common Recruitment Process (CRP) for selection of personnel for Clerical Cadre Posts (IBPS CWE Clerk -VIII) in the various Participating Organizations, which is tentatively scheduled to be held on December 2018 & January 2019. Proficiency in the Official Language of the State/UT: (candidates should know how to read/ write and speak the Official Language of the State/UT) for which vacancies a candidate wishes to apply is preferable. Age: Minimum: 20 years Maximum: 28 years. Age relaxation is admissible for SC/ST/OBC/ PH/ Ex-servicemen candidates as per rules. How to Apply: Eligible and interested candidates can apply online through IBPS’s website www.ibps.in from 18.09.2018 to 10.10.2018. 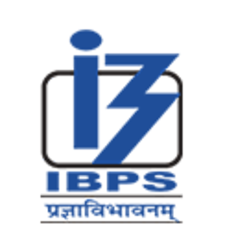 Candidates are first required to go to the IBPS’s website www.ibps.in and click on the Home Page to open the link “CRP Clerks” and then click on the option “CLICK HERE TO APPLY ONLINE FOR CRP- Clerks (CRP-Clerks-VIII)” to open the On-Line Application Form.